I love vintage things. 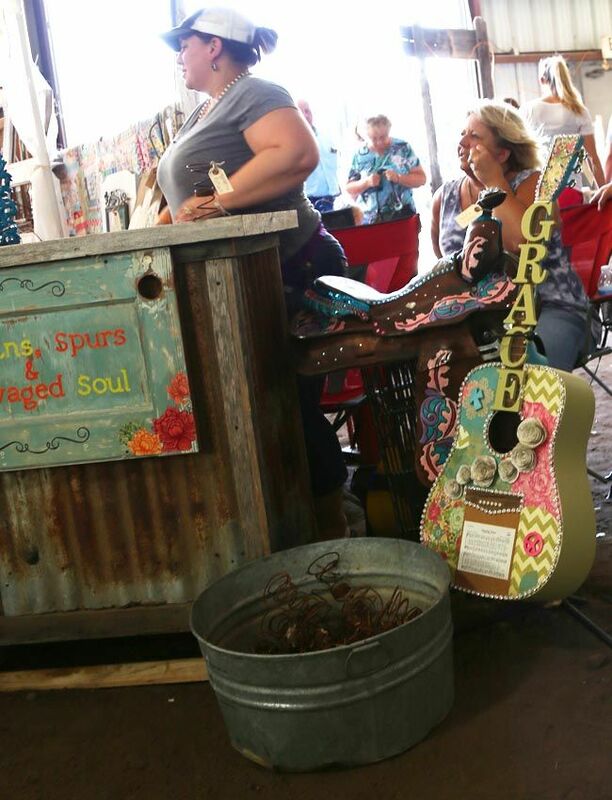 They can bring so much warmth and character to a space! 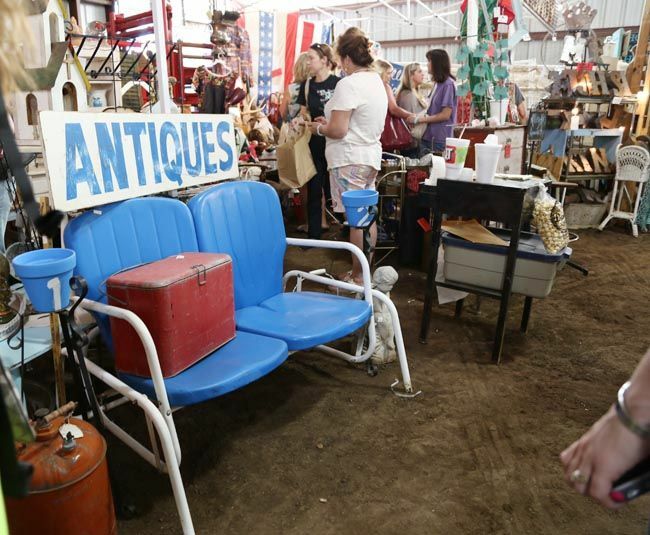 The other day my good friend and I went to a vintage show. I love all things Americana. 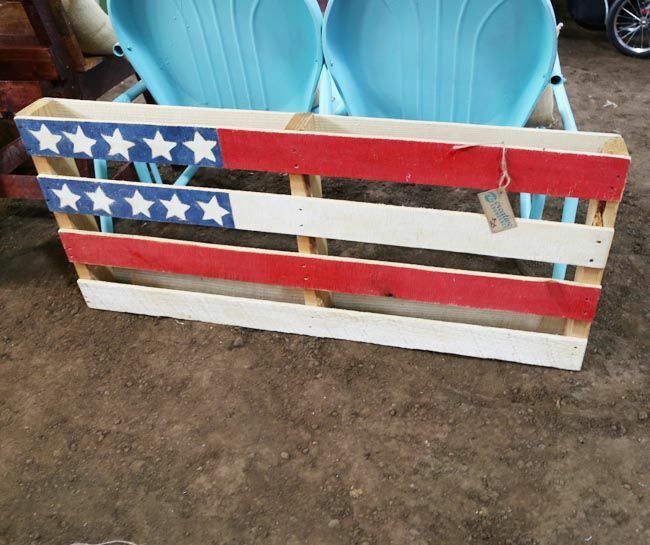 I loved this flag pallet! 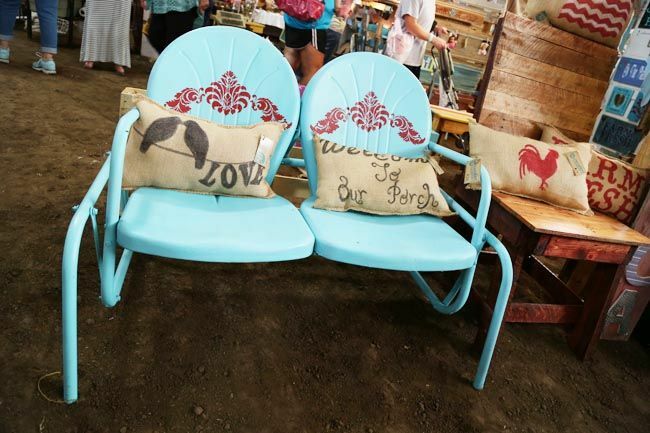 I want that turquoise chair. Actually I want all 4 for $100. I don't even play geeeetawr but I looooved this one! If it had been a drum instead of a guitar, I'd have been helpless. It would have come home with me. 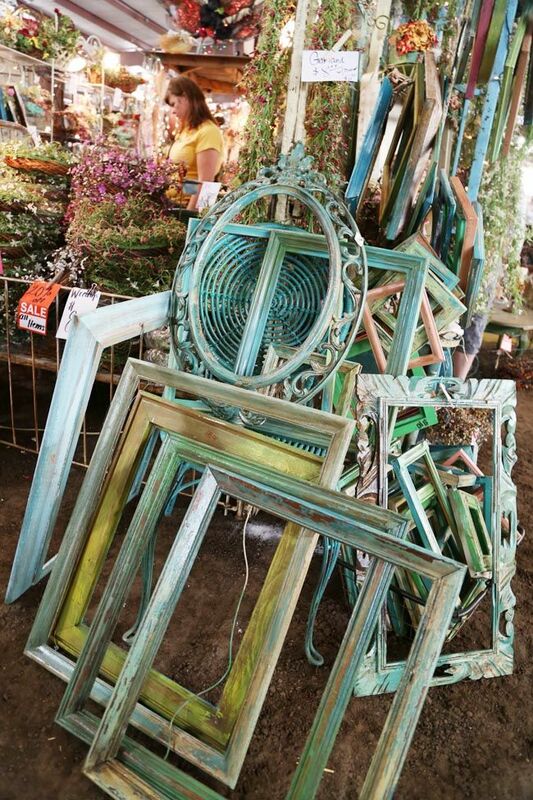 A huge stack of chippy turquoise frames. Perfection. This double rocker. I need. I just had my car, not my truck. So I couldn't get it. But now I'm on the hunt for one, even if I have to paint it myself. 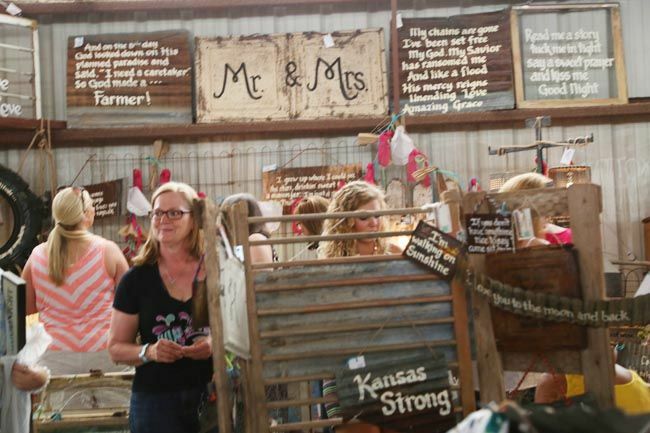 The stuff was good, the displays were really cute, and other than being miserably hot in there we had a great time! 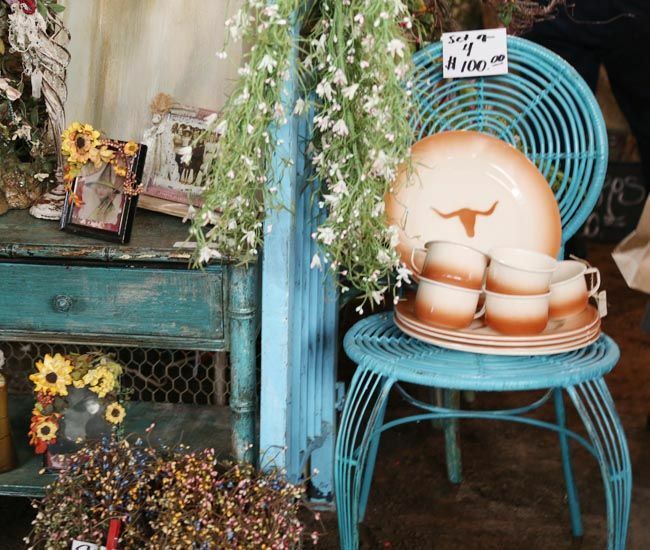 Have you gone to a vintage show recently? Looks like a great show......good pictures. Going to a vintage show end of July called Summer Market at Avon Lake on Lake Erie. I hear it is fabulous!